1 down, 80 to go. It’s hard to believe I’ve been living this country life for an entire year. I can’t really consider myself a newbie anymore. Though, honestly, that ship already sailed the day I started explaining the difference between a heifer, cow, steer, and bull to my boss. The past year feels like a great accomplishment. It was challenging and frustrating, but it was also filled with unspeakable joy and love. I am more in love with the Dairy Man today than I was on our wedding day. Now that we’ve gotten a chance to get our hands dirty in this thing called marriage, we are even more certain in this life we’re building together. Unlike many newlyweds, I don’t think that the Dairy Man and I entered marriage with our eyes glazed over with love and rainbows. We’ve always been fairly realistic people. We didn’t enter into marriage lightly or with unreasonable expectations. And I think that’s what has sustained us through this crazy year. Over the past 365 days, we lived in two different houses in two different locations. We went through harvest season, planting season, and a whole lot of hay cutting. We began the (never-ending) process of renovating our farmhouse. We started a new dairy. We completely gutted and renovated our milking parlor. We lost two beloved grandparents. We got a dog. We joined a church and made new friends. We lived through power outages, blizzards, 3 a.m. phone calls, passionate disagreements, runaway cows, and one very expensive trip to IKEA. This year has been tumultuous and unstable. But it has also been rewarding and reassuring. Somehow our farmer/urbanite love has blossomed into a beautiful marriage. My mother is very smart and her advice stuck with me. An egalitarian marriage (as I hoped for) is a great idea, but real life isn’t always that neat and tidy. You can’t just give 50 percent and stop giving. Sometimes we have to pick up each other’s slack. 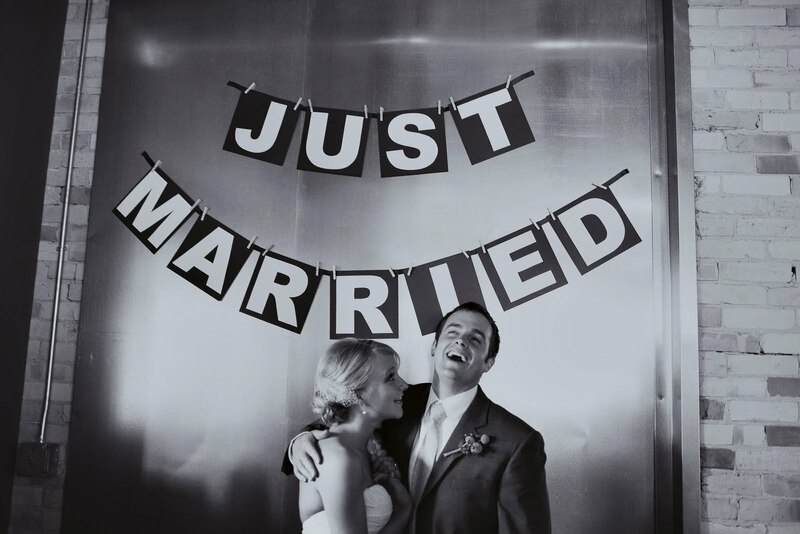 If you go into marriage thinking that things will always be fair and perfectly equal, you’re in for a rude awakening. Especially if you marry a farmer. We will spend our lives trying to find balance. My happiness required that I accept this. I had to learn flexibility, patience, and grace. I had to be ok with giving more than 50 percent some of the time. On the flip side, the Dairy Man had to shake off years of putting the farm first and learn what it was like to be married. He had to learn how to prioritize, say no, and invest in life outside of the farm. We’re getting there. 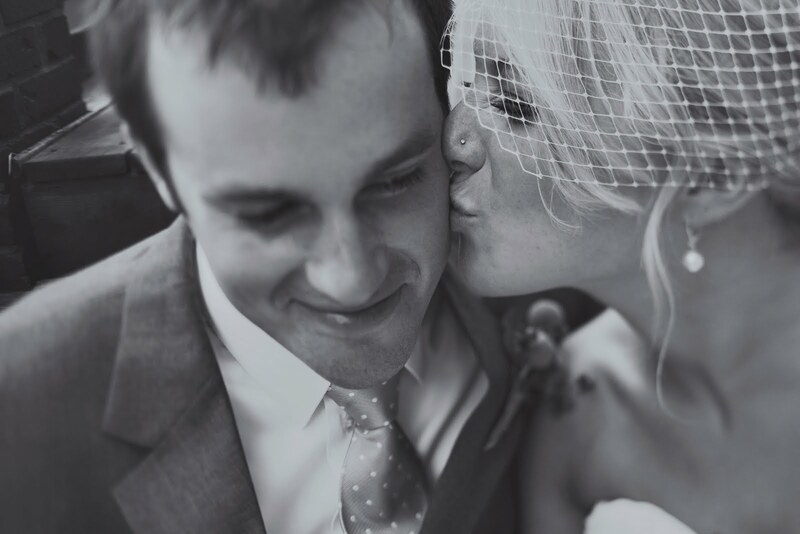 To my husband, thank you for the past year. Today, like that day a year ago, you are it. You are everything. You’ve turned my life upside down and it’s the best thing that has ever happened to me. I may live in the boondocks and have a home that smells faintly of cow manure, but I still feel like myself. Stilettos and all. Bring on the next 80 years. Previous Post Losing my Shadow. Next Post Shoo, fly, don’t bother me. congrats to you both! you both deserve the best! Jess and Kyle. Congratulations! Your mom gave some great advice about marriage. It is all about giving your all 100 Percent of the time. God bless you both! I just found your blog via an article in the Progressive Dairyman magazine and I am quite excited. I have a very crazy similar story to yours! My husband and I got married 10 months ago and began dairy farming ( neither of us have a dairy background but we did grow up in the country) 6 months ago. It has been very emotionally difficult but also really rewarding and fun. Anyways, its really cool to be able to relate soo well to you! Hi, Marie! I never realized how many people like me were out there. 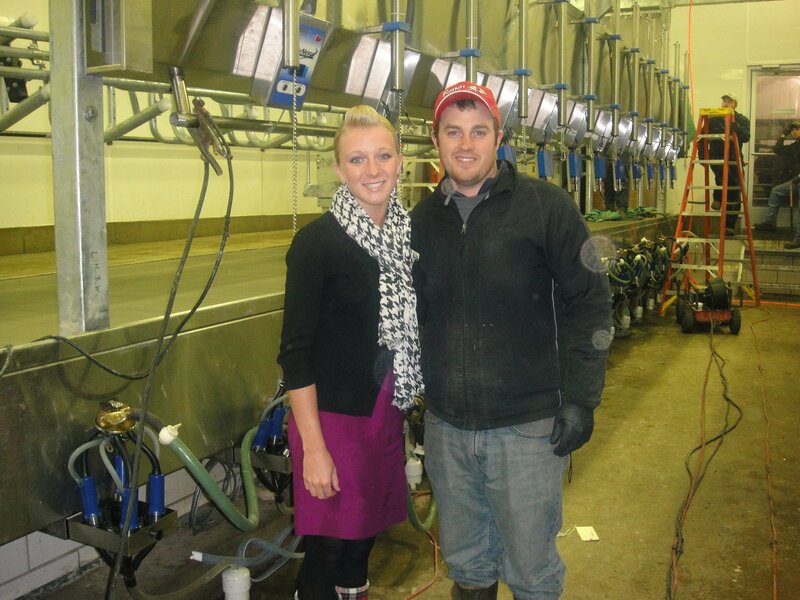 Are you and your husband starting a dairy or did you buy an existing facility? Jess and Kyle I love you both and am so proud of the growth I’ve seen in you both. Life is so much fun with your best friend. Congrats! I’m enjoying reading your blog. 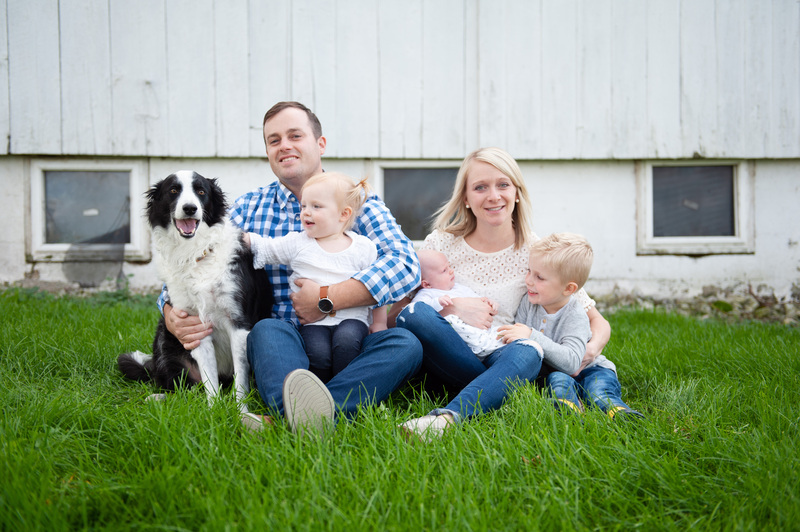 My husband and I also found your blog through the Progressive Dairyman. I’d say our story is very similar as I’m a city girl married to a hard-working farmer. We’ve made it almost seven years, and three kids later, we are still going strong. It is nice to know that there are other young couples out there facing a similar journey. God’s blessings on many more years together! Nancy – I am so encouraged each time I hear from others who live the same life I do! Thank you for reading and for sharing your story. Blessings to you as well. So happy to have found your blog! I too, am married to a farmer.. we are currently in the process of building a dairy! We have been married 9 months, and like you, have been remodeling an old farm house ever since..I found your blog while playing around on the internet this past Friday night, my husband called me at work around 12-ish and said “Hey I’m going out of town this weekend, probably be leaving in a couple hours” And I thought, oh how nice, another Friday night home alone.. Somehow I didn’t realize this was part of the package! As I lay on the couch, bored and lonely, laptop in hand searching and searching “dairy, farm, wife, blog” haha.. Then I found you! I then realized you were sort of in the same boat as I, I feel for ya! It was somewhat comforting to know I’m not the only one having to deal with this! Again so excited to find someone to whom I can relate! It’s scary how similar our stories are, I’m a Jessica too!!! We live in NC! Although, I am a farm girl, this dairy stuff is new to me! I was raised on a broiler chicken farm and I now work for a local egg producer. Farming is all around me, I enjoy it and am pretty excited about the whole dairy thing! I’m excited to learn what it’s all about, especially looking forward to the babies! Jessica – what a great name. 🙂 I’m so happy to meet you! And I completely understand the Friday nights alone. Hang in there!